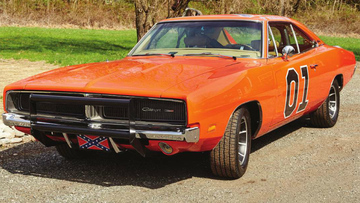 The General Lee is a 1969 Dodge Charger. It was driven in the television series The Dukes of Hazzard by cousins Bo and Luke Duke. In 2014, the car was inducted into the 2014 Diecast Hall Of Fame as a TV And Movie Car.